This simple yet delicious honey recipe will make a great appetizer or a sweet and savory after dinner dessert. Your friends and family will be asking for more! 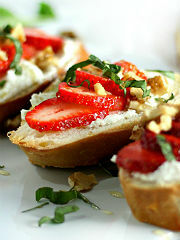 Try this yummy Strawberry, Basil, Honey-Goat Cheese Bruschetta recipe with New Zealand’s Tawari Honey. Preheat oven to 350F. Brush bread slices lightly with butter and sprinkle with Pacific Sea Salt. Bake for 10 minutes or until lightly browned. In a bowl, mix together goat cheese and Tawari Honey. Spread goat cheese mixture over each bread slice. 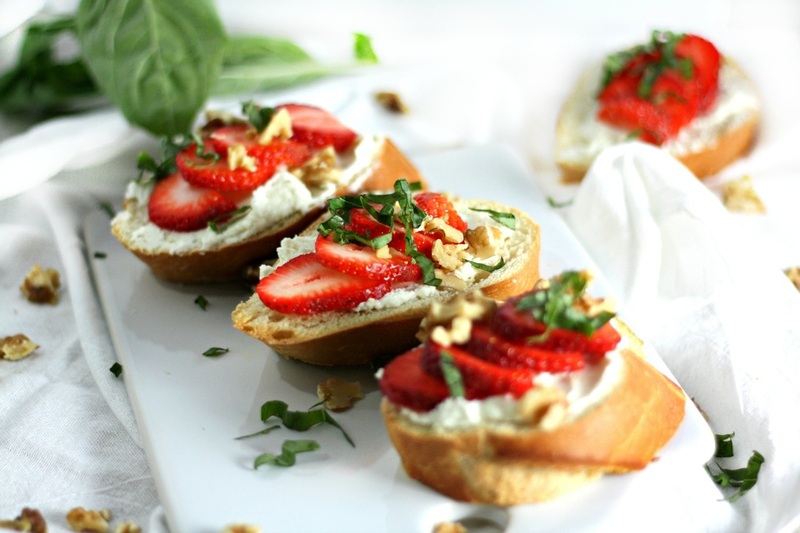 Top with strawberry slices and garnish with basil and walnuts. Serve warm.